Las Vegas Forklift Certification, Get Forklift Certified Today! Las Vegas is a bustling city constantly teeming with new projects. It may not seem like it, but forklift operators are an integral part of what keeps Las Vegas fresh and running. If you’ve been thinking of moving to Las Vegas, a forklift career might be your chance. And if you should ever seek a quieter and slower paced way of life, you can pick up and move to another state any time you like with your Las Vegas forklift certification. Equipment operation is one of those industries where you can take your skills with you wherever you go. However, we think there are loads of reasons to use your forklift certification in Las Vegas from CertifyMe. And there even more reasons for employers to consider our forklift certification in Las Vegas – millions of reasons. With OSHA fines and penalties potentially millions of dollars, it doesn’t make sense to skip on your Las Vegas forklift certification training requirements. In fact, it’s against the law.With CertifyMe.net in your corner, we’ll take care of your company’s OSHA compliance needs. The Climate – Las Vegas enjoys a subtropical, hot desert climate. It has an average of 300 sunny days each year. Humidity is often less than 10%. For individuals with forklift certification Las Vegas, this is a definite plus for creaky joints or those with allergies like asthma. Cost of Living – While wages for a person with Las Vegas forklift certification are a few beers less than the national average, it is a lot easier to get by with less. 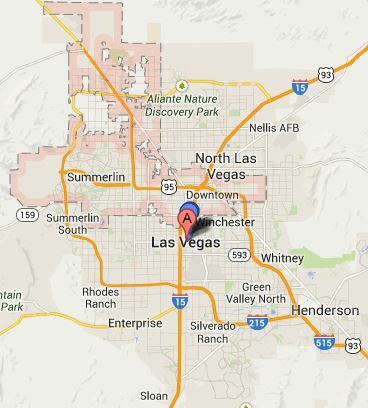 With affordable cost of living rates, Las Vegas is an ideal place for any forklift driver to earn a living. Quality of Life – The QOL Index in Las Vegas is 225.4 compared to New York, where it is 117.91. Differences may be attributed to purchasing power, health care, property price to income ratio and levels of pollution. Avoid Costly Fines and Penalties – This is a big reason for employers to sign up with CertifyMe.net. Once your employees complete their forklift certification in Las Vegas, you can print their credentials. In the event of an accident (which are already reduced, thanks to our effective training programs), OSHA will want to see your employees’ training records. You’re already ahead of the game with CertifyMe.net! With the population in Las Vegas continually increasing, jobs in the construction industry for people with forklift training Las Vegas are plentiful. More than a third of homes in Las Vegas are five years old or less. Casino developers are always trying to outdo each other in the outlandishness stakes so this, too, keeps operators with forklift certification in Las Vegas steadily employed. The local business community works in close collaboration with the state government to provide incentives for growth. For employees and employers, Las Vegas is so much more than a gambling destination. But don’t roll the dice with your company’s training requirements – get Las Vegas forklift certification today from CertifyMe.net! Can’t wait to make Las Vegas your home? Stop wasting time and complete your Las Vegas forklift certification to find a new job quickly. Sound overwhelming? Think again! CertifyMe.net has the most convenient and efficient online forklift certification Las Vegas course available. All you have to do is create an account, work through the modules, and in about one hour, you can be holding your printed forklift certificate in your hand ready for the practical assessment. You can complete your practical assessment in any work area, so you don’t need to be in Las Vegas in a job to finish your training. And for only $59.95 per module, you’ll have your ticket to an exciting new life in Las Vegas in record time with minimal investment needed. Sound too good to be true? Sign up on the CertifyMe.net website and see that it’s not! For more information about our forklift certification in Las Vegas, give our OSHA compliance experts a call today at 1-888-699-4800. Thanks for visiting CertifyMe.net!